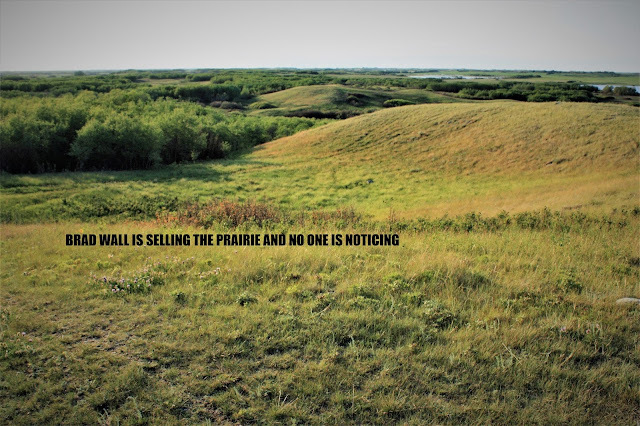 Brad Wall continues to auction off Saskatchewan's prairie heritage parcel by parcel, and the provincial conservation organizations are standing by in silence. This fall Ritchie Bros auction has listed 75 parcels of Crown land--much of it native grassland, aspen parkland, wetlands and forested areas. Almost none of these lands for sale are receiving conservation easements to stop future owners from plowing and draining the natural landscape--not that a government conservation easement provides much in the way of real protection anyway. 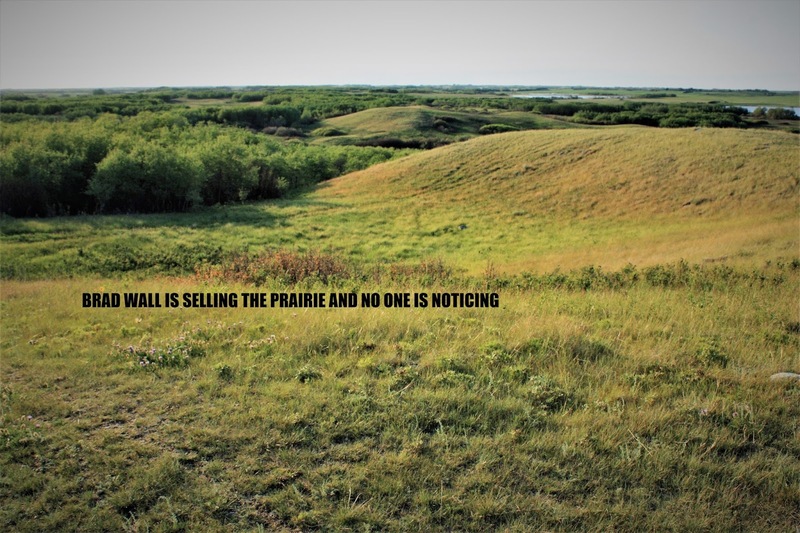 In a quick scan through their very helpful website (oddly named ironplanet.com/realestate-skgov), I found several parcels with hundreds of acres of native grassland up for sale--most with no easement. One chunk of more than 2,240 acres of native grassland near Bengough is being advertised as a single lot of land to be sold without a conservation easement. The Province promised when it began selling off Crown land that any land of high ecological value would not be for sale and that land with moderate ecological value would be sold with conservation easements. If 2,200 acres of native prairie in an area surrounded by many more blocks of native grassland is not of the highest ecological value then nothing is. This evening I called up the current leaseholder of that land near Bengough, a rancher named Gary Shaver. I told him I was writing a story about the Province auctioning off native grassland. Leaseholders are often reluctant to speak on the record but Gary was willing to talk. He was quiet but clear in his concerns about the auction. I asked him if he was planning to bid on the land. "Well I guess I haven't got much choice." Would you rather keep leasing it for your cattle, I asked. "Sure if that was an option, but they've made their minds up to sell it." I told him that some of us fear that Crown grasslands that are sold off could eventually end up in the hands of someone who would plow the land under. "Well," Gary said, "what some of us are afraid of is the land getting into the wrong hands and then we'll end up being a bunch of peasants working for someone else." He said he has seen the price of land driven up by out of province interests bidding on land. "I'm not too happy with that Wall anymore," Gary said. "He's been letting people come in here and buy up land, driving up the prices." He agreed that most ranchers will treat the land well but eventually everyone has to sell--whether you retire or your heirs decide to sell--and when that happens there is nothing to stop future owners from turning the native prairie into canola or lentil crops. I spoke to another Crown grassland leaseholder this evening, Jason Mapleloft of Lethbridge who has likewise seen his lease of native pasture put up for sale. His reaction paralleled Gary's. "We are losing too much native grassland these days," he said. "It should be left as is." He said that if the land he leases falls into the wrong hands it could easily be converted to cropland. Most confusing and frustrating of all, there has been no public outcry whatsoever from the conservation community. Nothing from Ducks Unlimited, Nature Saskatchewan, the Saskatchewan Environmental Society, the Canadian Parks and Wilderness Society, and the Nature Conservancy of Canada. I am at a loss to account for their silence. Watch for Islands of Grass, a book of essays on grassland people, creatures, and places by Trevor Herriot accompanying Branimir Gjetvaj's luminous photography. In better stores by Nov. 1, 2017. Trevor's book, Towards a Prairie Atonement, published by the University of Regina Press in 2016, connects history and ecology in prairie landscapes with a story about the forced removal of a community of 250 Metis people in the late 1930s. Podcast interview about the book here. The Road is How: A Prairie Pilgrimage through Nature, Desire, and Soul is available at Amazon and Chapters-Indigo as well as through independent booksellers. Click here for details from the publisher, HarperCollins Canada. Here is a link to a CBC Blue Sky interview where Trevor talks about The Road is How. Click here to watch Trevor's TEDx talk on one theme covered in The Road is How. 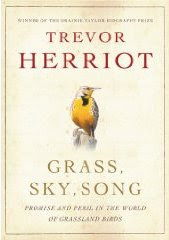 Grass, Sky, Song: Promise and Peril in the World of Grassland Birds (HarperCollins 2009) was nominated for the Writers' Trust Non-Fiction Prize and the Governor General's Non-fiction Award. I am a prairie naturalist who writes books, essays, and radio documentaries about the intersection of culture and nature on the northern Great Plains.